Northern Hemisphere observers are in for a treat if they stay up real late on January 3rd (or wake up real early on the 4th). 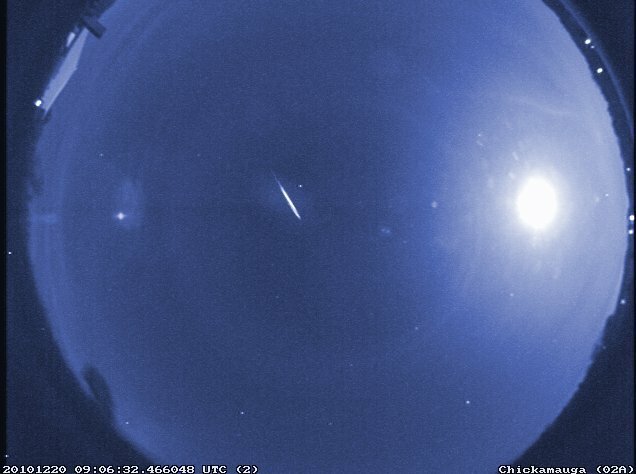 That’s your opportunity to view the Quadrantids meteor shower will occur. Unlike other meteor showers that might be visible over the course of a few nights, the Quadrantids have only a very narrow window of time to be seen; however, the shower is a very active one that you’ll want to make an effort to catch. So, where to look? Like other meteor showers, the Quandrantids take their name from the constellation they appear to radiate out of (Leonids via Leo, Geminids via Gemini, etc.). What’s that? You aren’t familiar with a “Quadrant” constellation? That’s because this meteor shower was named after a constellation that is no longer recognized as such (Quadrans Muralis). Constellation or not, the Quadrantids exist and can be found radiating out of the constellation Boötes. To find Boötes, look left of the handle of the Big Dipper and before the head of Draco. You’ll easily be able to identify Boötes by the very bright star, Arcturus. But remember one of the most important tips for viewing meteor showers: Looking at the radiant point isn’t the best place to stare. In fact, you’ll miss quite a few and probably catch a few more only through your peripheral vision. While if you imagined charting every meteor and extending their lines across the sky, the majority will intersect at the radiant point; however, they often don’t “light up” until they’re way away from the radiant point. You might look towards, say Polaris, which is a great star to look at if you’re going to spend a few hours looking up — there’s just something spending a night watching everything rotate around the North Star. There will be a waxing gibbous Moon to contend with, but for most in the United States it will set near 3am. Up as far North as I am, it won’t be setting until closer to 5am. That said, don’t let the Moon intimidate you; the Quadrantids are a very active shower — up to between 100 – 200 per hour! — and the Moon, if it is still up when you’re observing, should be outside of your field of view while spotting meteors.